The Jamaican Ackee fine bone china collection is inspired by the evergreen Ackee tree grown in gardens in Jamaica and which bears the beautiful ackee fruit the national fruit of Jamaica. 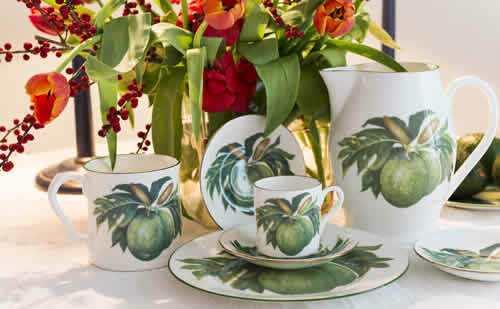 This pretty green & white bone china collection is inspired by the Breadfruit, brought from Tahiti to the West Indies in the 18th century by Captain William Bligh of Mutiny on HMS Bounty fame. 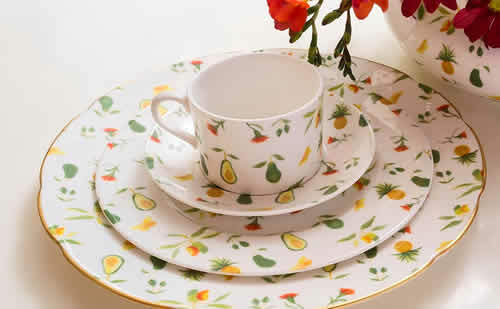 This fine bone china collection is inspired by the gardens in the Caribbean with their mix of vibrant flowering plants, fruit trees and birds and exotic butterflies. The Great House Collection is decorated with the Jamaican Coat of Arms and is inspired by the grand plantation Great Houses in the Caribbean (circa. 1694-1880)​. Jenny Mein Designs are carefully produced to capture the essence and beauty of Caribbean gardens with their abundance of fruit and exotic flowers. 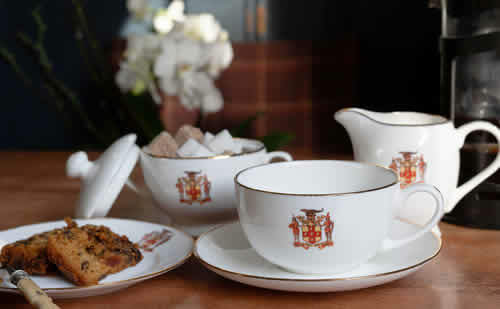 The china is produced exclusively under patent and manufactured to the highest standards at Stoke-on-Trent, England.The Jamaican Ackee bone china collection is now complemented by the Breadfruit, Caribbean Garden and Great House Collections. 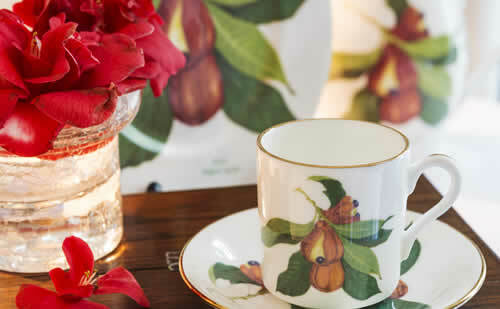 Exquisite, unique and stylish fine bone china tableware and giftware for lovers of tradition and beauty.